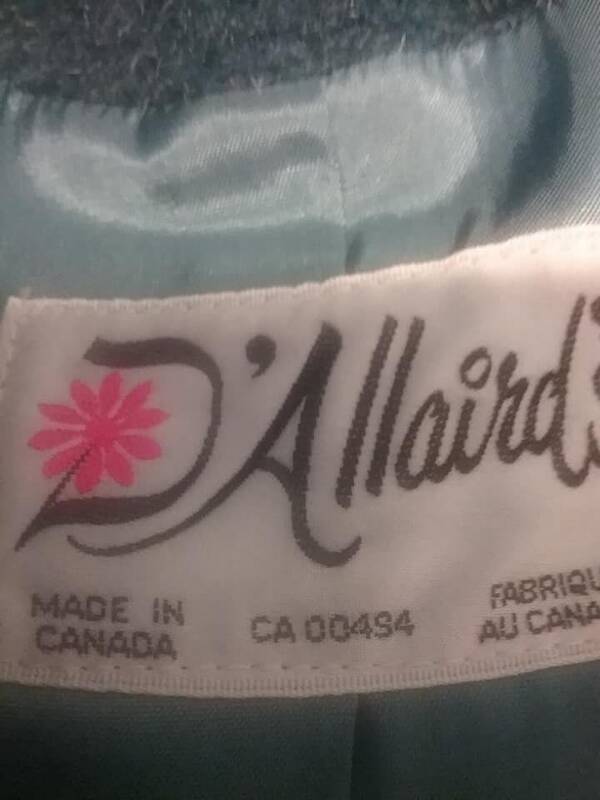 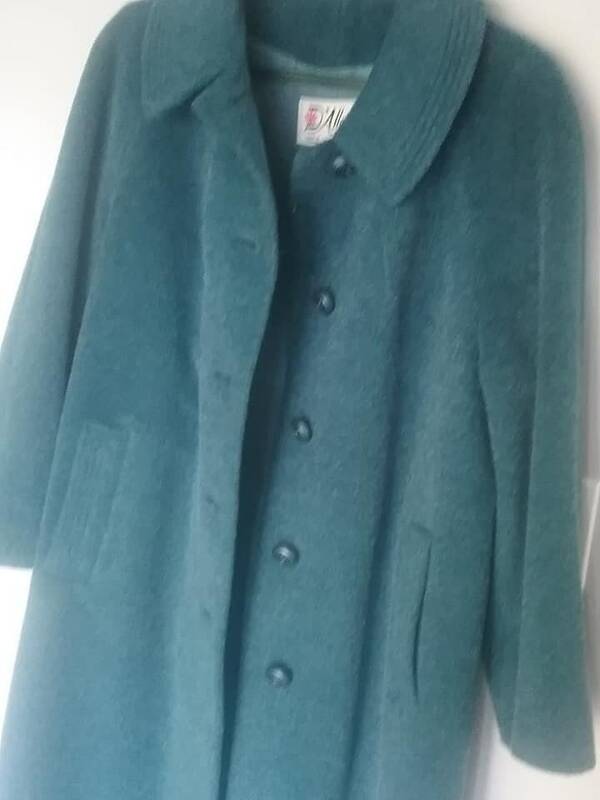 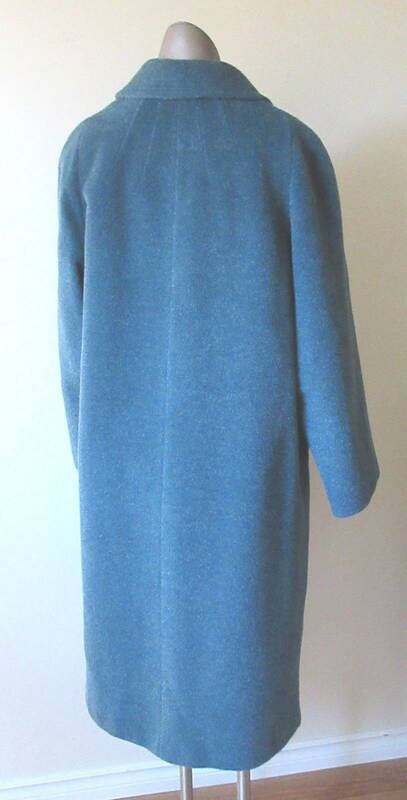 1960's Women's wool coat, extra large, D'Alliard's blue (grey/blue), full length wool coat. 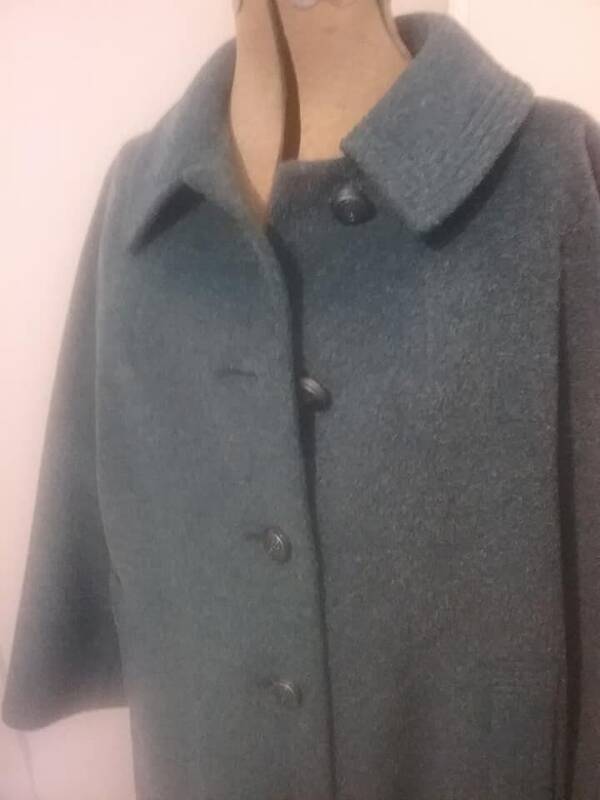 Blue satiny lining is in very good - excellent vintage condition. 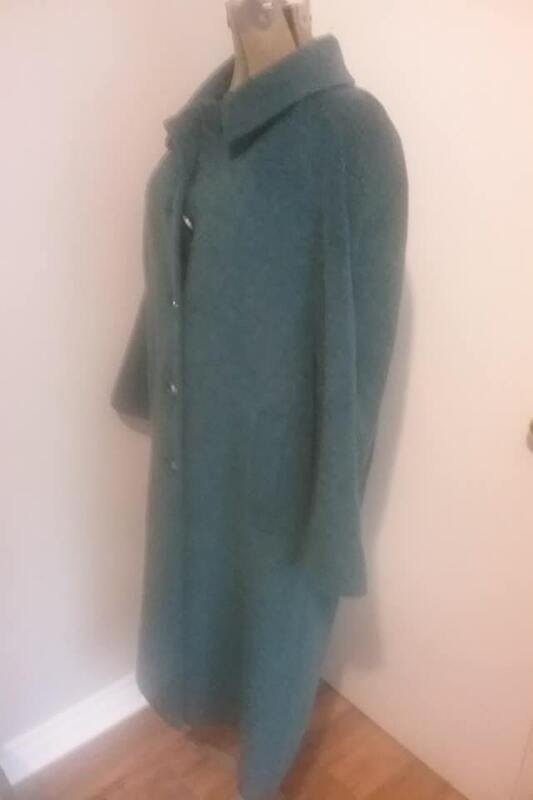 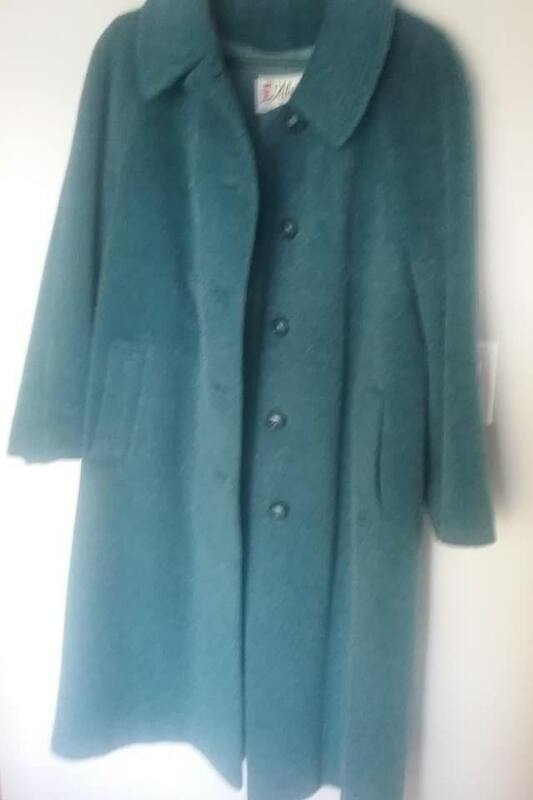 Approx sizes for this XL coat are as follows: bust 42", waist 42", hips 50", shoulder to shoulder 16" and length is 40". 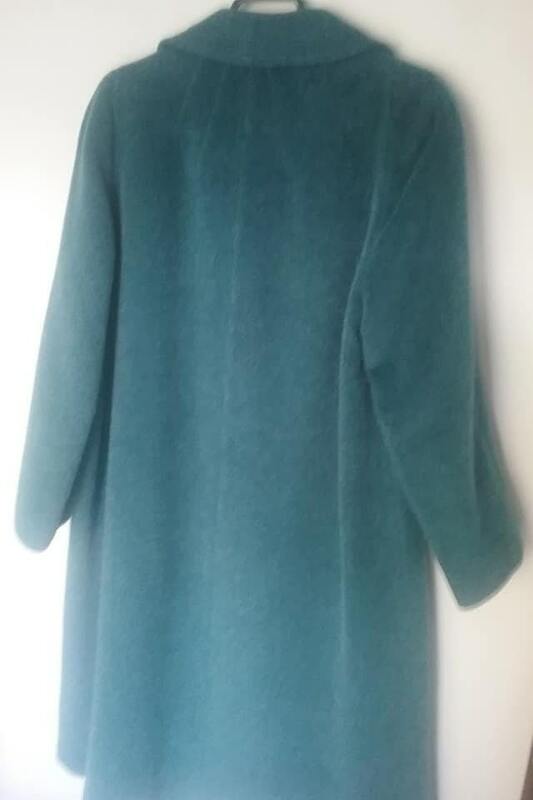 A unique blue color (difficult to capture) is a mix of blue, grey and hint of green....almost a smoky turquoise. 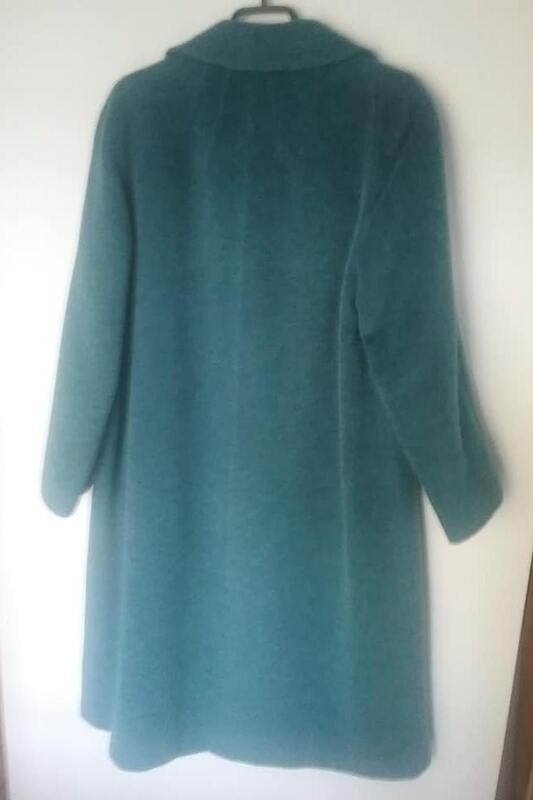 It is a perfect example of understated beauty...beauty that is also sure to stand out.